The Science City Research Alliance (SCRA) has now been successfully completed. 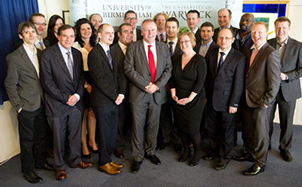 SCRA (2007-2015) brought together the University of Birmingham and the University of Warwick in collaborative advanced materials, energy and translational medicine projects. 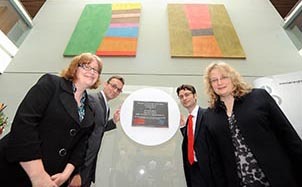 Part of the Birmingham Science City initiative launched in 2005, SCRA was funded by government through the former regional development agency, Advantage West Midlands, and the European Research and Development Fund, with the aim of increasing the science base within the West Midlands, supporting regional technology businesses and improving the prosperity and quality of life of the West Midlands. 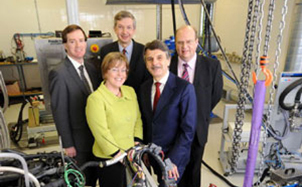 Beginning with a £57m investment in joint equipment and research infrastructure, the universities worked with companies in the West Midlands, from SMEs to multi-nationals, to innovate and solve problems through joint research, providing access to equipment or exchanging knowledge. Leverage of nearly £200M additional funding from UK research councils, European funding, Innovate UK and industry for collaborative research using SCRA equipment. 20 new spin-out companies created and 2 business attracted to set up in the region. More than 450 knowledge-intensive jobs were created or safeguarded and a further 115 graduates entered regional employment after completing PhDs, Masters or final year projects linked to Science City. More than 300 regional businesses engaged directly in the programme. Many of these have gone on to develop longer-term collaborations with the universities. 1800 peer-reviewed publications and 1000 conference presentations came from research using SCRA facilities. Investment in new buildings, facilities and equipment of around £25m, including a Clinical Trials Unit, the Human Biomaterials Research Centre, the Centre for Mechanochemical Cell Biology, a semiconductor cleanroom and the Midlands Ultracold atom research centre. You can read the best of our Science City Research Alliance case studies here. SCRA received a £9.6m investment from the Higher Education Council for England (HEFCE) Strategic Development Fund to fund a group of high-calibre Research Fellows. We worked with a wide range of partners including funding bodies, charities, small businesses, large global corporations and higher education institutions.